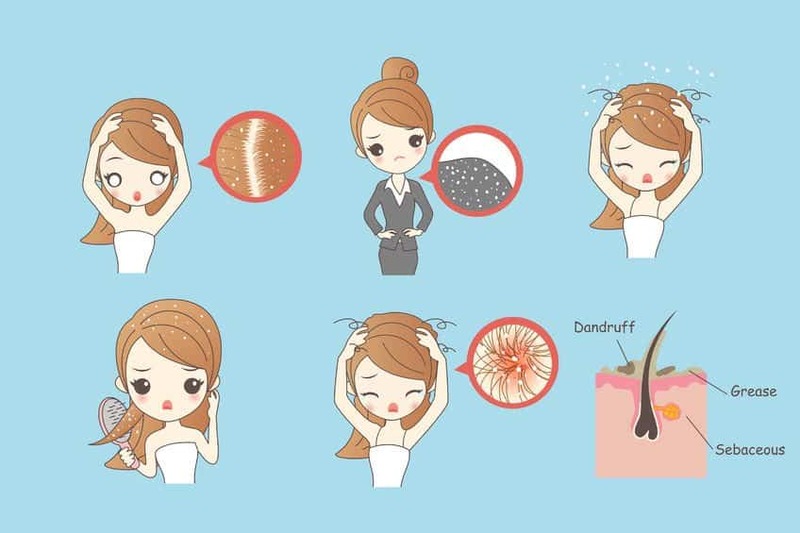 Dandruff – Let’s face it, no one likes those dry, white flakes on one’s hair, especially when you are in a crowd as it can be very embarrassing. When you meet someone, or greet someone, the first thing you look at is their eyes. But what next? Your eyes start wandering and you look at their hair. Having said that, the various anti-dandruff products and shampoos have only helped me deal with dandruff and itchy scalp in the short term, i.e. it has never really helped me get rid of my dandruff permanently. Needless to say that I have tried multiple medicated shampoos and other products to try prevent and treat dandruff, but in vain. Over time, I have found that essential oils offer a permanent dandruff cure if you follow the treatment outlined below meticulously. 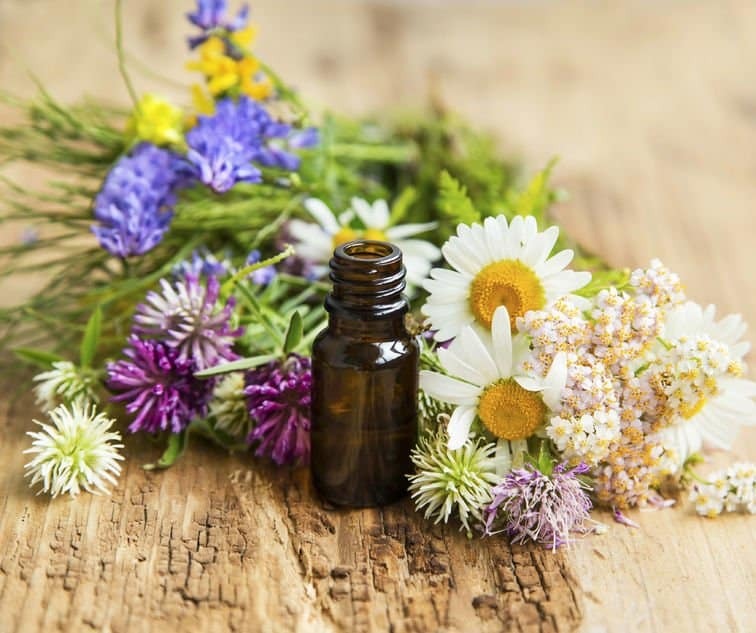 In addition, essential oils help with soothing inflammation of the scalp and for an after-care dandruff treatment to maintain a healthy scalp and shiny hair. The antiseptic, healing, uplifting properties of Cedarwood essential oil will sooth your itchy scalp and help in the healing process (do not use this essential oil if pregnant). Add 10 drops of cedarwood essential oil to 100 ml organic coconut oil in the glass jar and mix thoroughly. Put a small amount of the mixture on your finger tips and massage gently onto your scalp for approximately 5 minutes. Leave the mixture on your hair overnight and wash with lukewarm water the next day. Add the cedarwood essential oil to the cream and whip until thick. Massage your scalp and hair with the mixture. Leave on for 20 minutes. Rinse thoroughly with cold water. Add the cedarwood essential oil to the fragrance free shampoo in the pump dispenser and shake well. Massage in your hair, leave in for 3-5 minutes and wash your hair with cold water. This essential oil of lavender has anti-fungal, anti-inflammatory and regenerative properties that fight off the fungus that causes dandruff / scalp itchiness, whilst promoting a healthy scalp and hair growth. Whisk the eggs and the milk together in a bowl and then add 7 drops of lavender oil. Pour over the head and gently massage into your hair, making sure to cover all areas; leave to dry naturally. When dry, rinse thoroughly with cold water. Add 10 drops lavender essential oil to your usual anti-dandruff shampoo (200ml). Shake well. Wash your hair up to three times a week for optimal results. Pour the water into the spray bottle, add the lavender and roman chamomile essential oils and shake well before each use. Use this spray once per day, preferably in the morning. The antiseptic, anti-fungal and anti-inflammatory properties of rosemary essential oil will sooth your itchy scalp and help you get rid of dandruff. 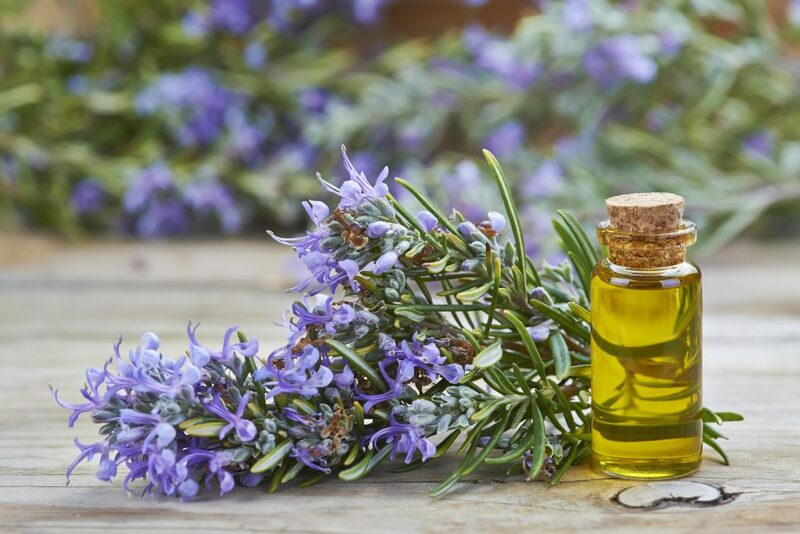 Rosemary essential oil is also a very good cleanser and tonic treatment for your hair (do not use this oil if you suffer from high blood pressure, epileptic seizures or are pregnant or on young children). Add the essential oils (rosemary and peppermint) to 1 liter of water; mix thoroughly. After washing your hair, rinse with cold water, then apply the above mixture over your head, covering all the hair. Leave to dry naturally. Add 15 drops rosemary essential oil and 5 drops lavender essential oil to 250 ml fragrance free shampoo in the pump dispenser and shake well. Massage blend into your hair, leave for 3 minutes, then rinse well with cold water. Repeat up to three times weekly. Warm the jojoba oil in a bain-marie and add the rosemary essential oil. Dip your fingers in the blend and massage well into the scalp and hair. Leave on for as little as 30 mins and up to 6 hours. Wash/rinse your hair with lukewarm water. 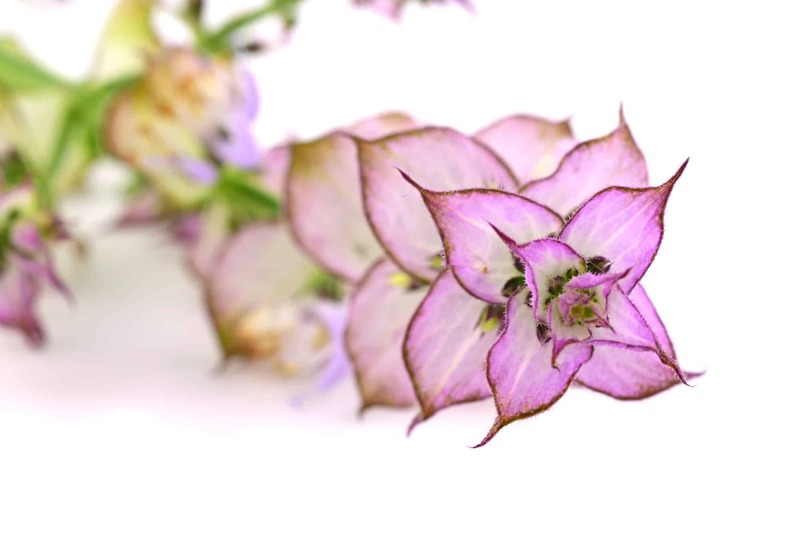 The essential oil of clary sage has calming, anti-inflammatory and anti-septic properties that will cure your dandruff and itchy scalp. Add the essential oils to the flat beer. Pour over your hair and leave to dry for up to 1 hour. Rinse your hair well with cold water. Add 10 drops sage essential oil to the organic coconut oil in the glass bottle and mix well. Put a small amount of the mixture on your finger tips and massage gently onto your scalp for approx. 10 minutes. Leave the oils in your hair overnight and wash well with lukewarm water the following day. 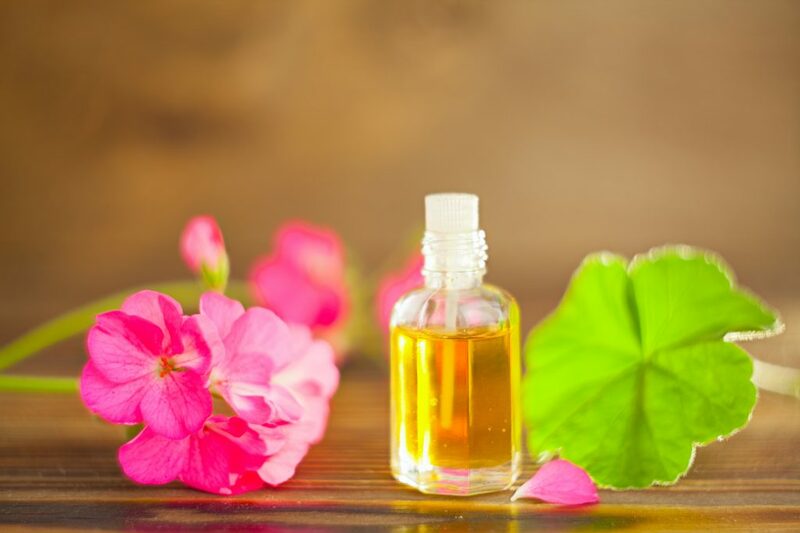 The balancing, anti-inflammatory and anti-septic properties of geranium essential oil will help keep your hair’s natural oils in balance, deal with any inflammation on your scalp, sooth the itchiness as well as get rid of dandruff. Put the apple cider vinegar into a dark glass bottle. 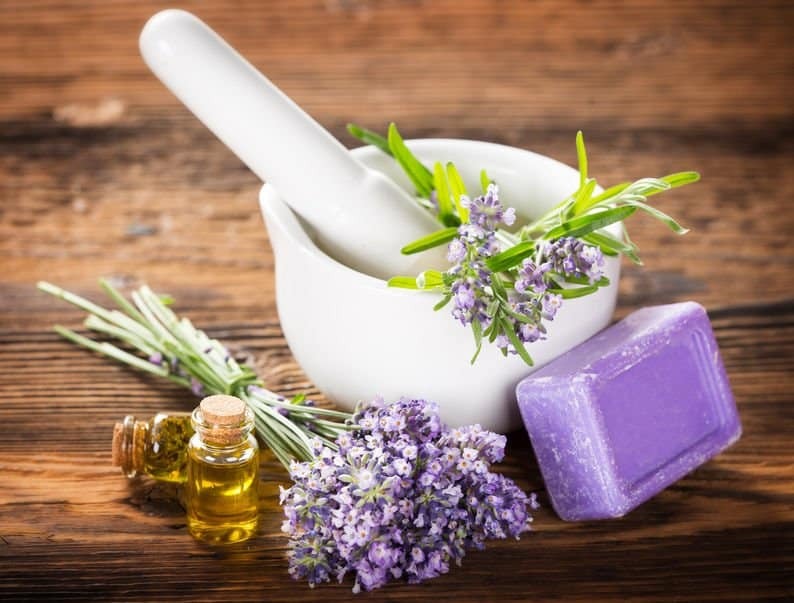 Add 10 drops geranium essential oil, 5 drops of lavender essential oil and 250ml distilled water. Shake the blend well before every application. Apply to on wet or dry hair 3 times each week. There is no need to wash off. Mix the egg yolk with the apple cider vinegar. Add the olive oil, mix in the lemon juice and geranium essential oil. Massage into scalp and hair. Leave for 5 minutes then rinse with cold water. 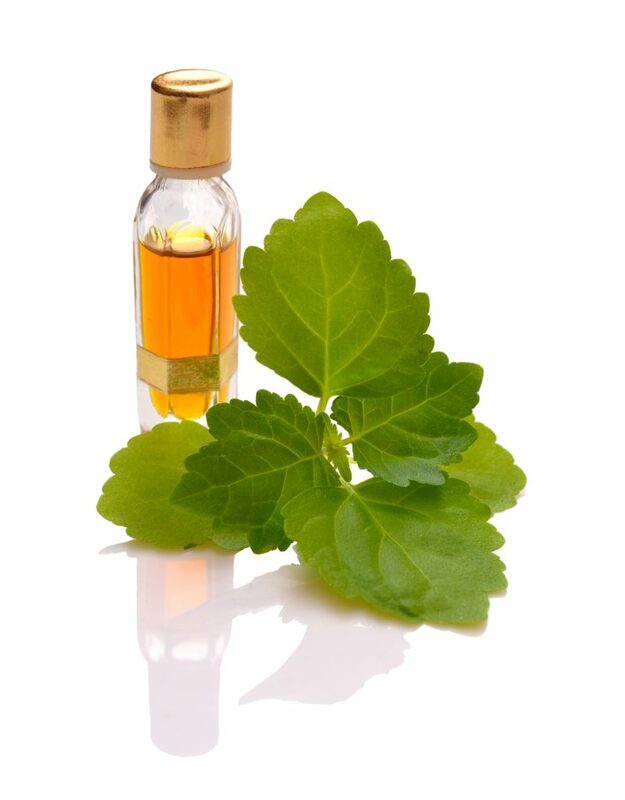 Add the geranium essential oil in jojoba oil and massage into your scalp and hair before going to bed. You can wash off the in the morning or you can leave on. 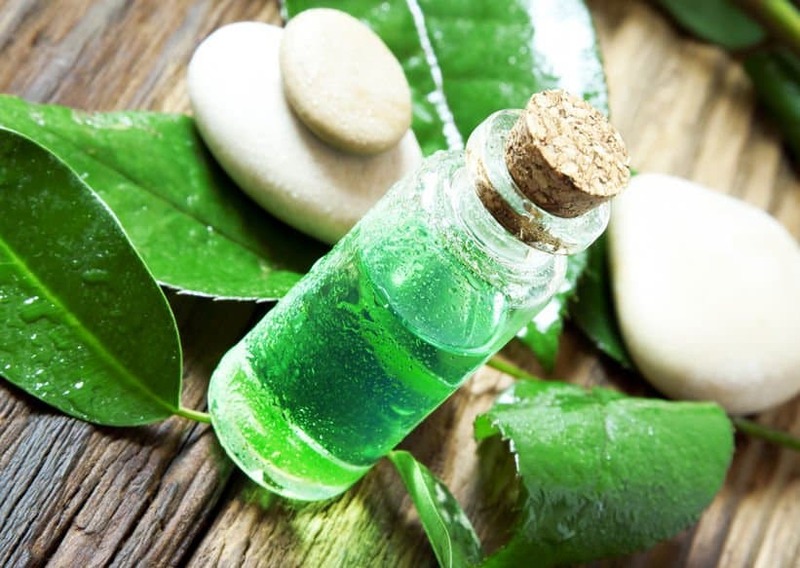 The essential oil of tea tree has antiseptic, antimicrobial and antibacterial properties that can help with conditions like dandruff and itchy scalp. For dry itchy patches as well as dandruff on your scalp, dilute 6 drops of tea tree oil in 3 tsp of argan oil and apply to the affected areas. Add 5 drops tea tree oil and 2 drops eucalyptus essential oil to 2 tsp almond oil and mix well. Apply the mixture onto your scalp with your fingertips and gently massage for 3 to 5 minutes. Leave the treatment for 1 hour then rinse off with lukewarm water. Add 10 drops of tea tree oil and 8 drops of geranium essential oil to 200ml shampoo. Shake well before each use. Apply to wet hair, massage well and rinse with cold water. The anti-inflammatory, anti-fungal, and healing properties of patchouli essential oil will help eliminate dandruff as well as sooth an itchy scalp and help in the healing process. Mash the avocado pear. Add the sweat almond oil and the patchouli essential oil to the avocado pear. Massage the mixture into your hair and scalp. Leave on for 20 minutes and rinse thoroughly with cold water. Add the essential oils to the water in the spray bottle. Spray on dry clean hair. Repeat daily. How Can I Prevent Dandruff? As the old saying goes, prevention is better than cure. Below are some tips and healthy lifestyle choices you can bank upon to prevent the occurrence of dandruff. Maintain a healthy diet, i.e. avoid sugary and salty foods. Eat more fish, salads and foods rich in Vitamin A (e.g. carrots). When rinsing your hair, use cold water in-lieu of hot water. Wash your hair regularly and use plenty of water. Avoid hair spray and gel. Wash your hair well to make sure all residual oils, build-up, etc. are removed and your hair is absolutely clean. 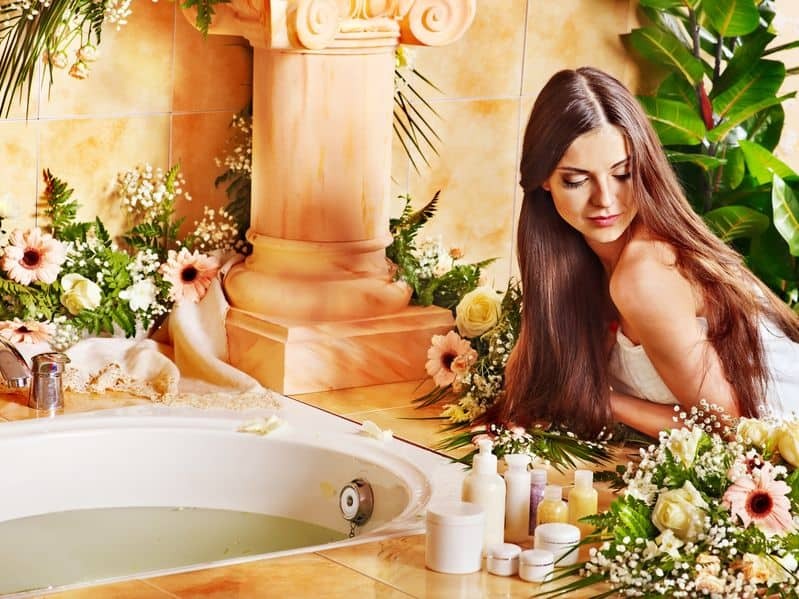 Make sure all traces of shampoo are thoroughly rinsed from your hair. Dry with a towel. Remember, wet hair is more fragile than dry hair and can break easily. Massage your choice of hair mask to your scalp and hair (as per recipes). Leave on as required. 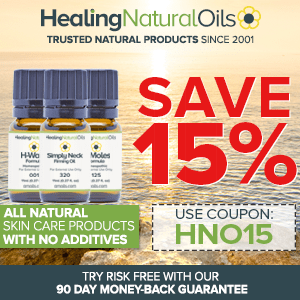 Add your essential oil treatment and leave in as required. 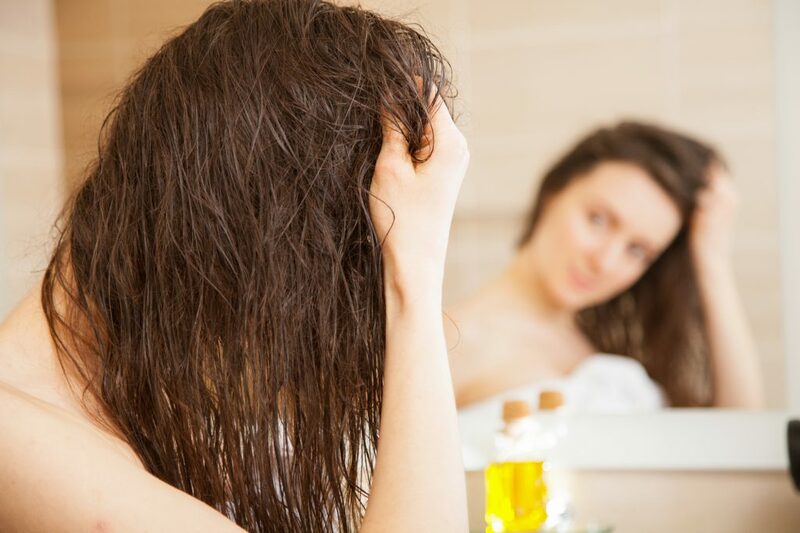 Wash your hair with your choice of essential oil shampoo (as per recipes). Dab dry with a towel and spray your hair with your preferred essential oil tonic spray (as per recipes). Let your hair to dry naturally. Never apply undiluted essential oil to the scalp and hair. Keep essential oils away from the eye and mouth areas. If you have any medical condition, consult your doctor before using essential oils. Avoid citrus essential oils (lemon, bergamot, orange, mandarin, etc.) if going into sunlight within 12 hours of application. It is important to take time to fully understand the real cause of your dandruff woes. The main thing is to always keep your hair clean and minimize the build-up of oils as well as maintain a healthy nutrition and lifestyle. Have a fabulous time making up the above essential oil recipes for dandruff and itchy scalp. You can use different essential oils for the two conditions. I have provided a list of essential oils and recipes for both dandruff and itchy scalp. Enjoy!